Within an hour wingspan of Edinburgh you’ll find all manner of fine places to live ranging across a huge area. There’s Ladybank, 16 miles from St Andrews and 21 miles from Perth, while Bishopbriggs is on the northern fringe of Glasgow. If you’re happy heading in from the south then the pretty town of Berwick-upon-Tweed, right on the border, is also within an hour. The latter is a piece of heaven. You’re limited to the single-carriageway A1 from Newcastle to Edinburgh, but the countryside is more than worth the slower pace, through the compelling towns and villages of Eyemouth, Ayton and Foulden, all within 10 miles of Berwick. The area has plenty to offer fieldsports enthusiasts – there’s hunting, salmon fishing on the Tweed and shooting in abundance on the Lammermuirs and at the Roxburghes’ shooting school in Kelso. Up the road, towards Edinburgh, Dunbar is only a 25-minute train journey into Waverley station, and North Berwick 32 minutes from the centre of the city. To Edinburgh’s north-west lies the quiet and unassuming market town of Stirling, where the National Wallace Monument overlooks the site of the 1297 Battle of Stirling Bridge. 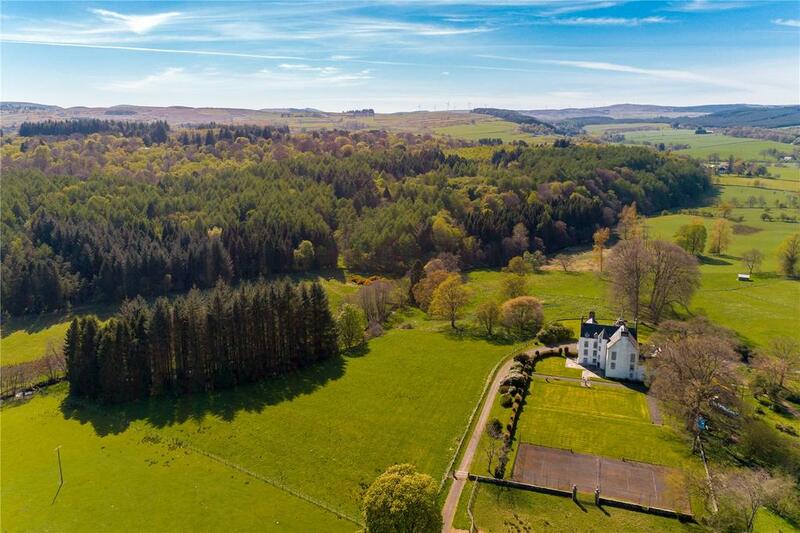 Savills are marketing the nine-bedroom Auchenbowie House with 97 acres and equestrian facilities for £1.825m. Back towards Edinburgh lies Falkirk (up to 40 minutes by train to Waverley) and the ancient town of Linlithgow, where the ruins of the old palace, Mary Queen of Scots’s birthplace, can be found just half an hour from Edinburgh. Across the Forth Bridge are the eminently commutable Inverkeithing (up to 29 minutes on the train), Aberdour (up to 36 minutes) and Kirkcaldy (up to 51 minutes) – and further north towards St Andrews is the town of Ladybank, famed for its golf club, just about an hour’s journey from Waverley on Scot Rail. For independent schools, look to Musselburgh on the coast for Loretto School and George Watson’s in Edinburgh itself. Auchenbowie House is set in 97.5 acres of its own grounds in the scenic Stirlingshire countryside. The house is immaculate inside, and within the grounds there is a tennis court, stables and a manege. Churchwood House appears at first glance to be a fine period property set within mature grounds – yet it’s only 17 years old, and was beautifully built to have real character and charm. 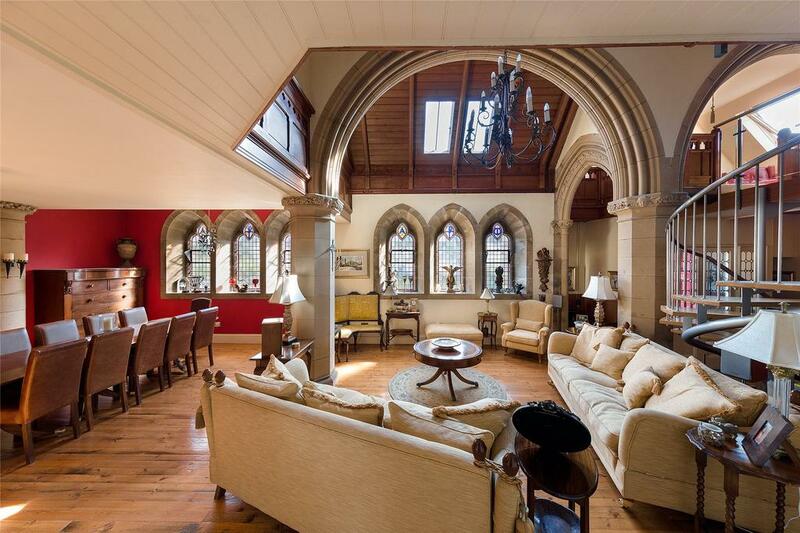 Church House has been beautifully and sympathetically converted to turn a church into a lovely family home. 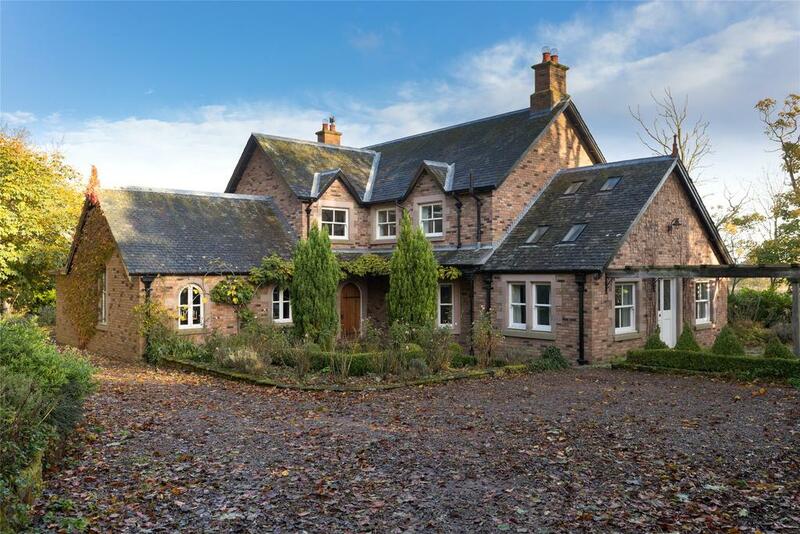 There are five bedrooms, three reception rooms and half an acre of gardens.